15 holiday houses and cottages hidden away amongst 4000 acres of Ross-shire countryside all within minutes of the Lower Conon beats. 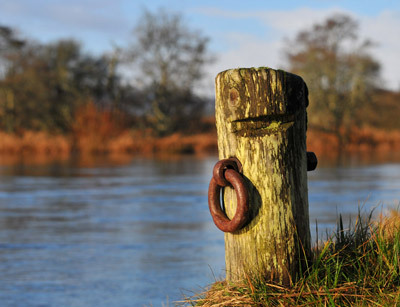 The hotel closest to the banks of the River Conon situated in the village of Conon Bridge. Superb AA 3-star country house hotel located in Contin. 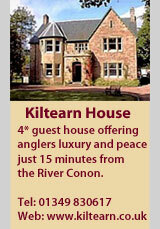 A country house near Muir of Ord specialising in catering for anglers. A traditional 19th Century stone cottage with wonderful views over the River Conon valley. 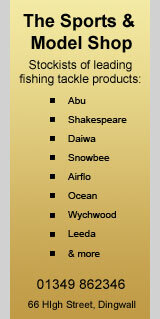 Website for Loch Achonachie Angling Club with information on their club waters for salmon and trout. An information resource for salmon fishing on the River Alness, including fishing prospects and weekly catch reports.